According the scriptures of Rock, Freddie Burretti was the inspiration of Rock’s finest and last ever iconic Starman. A Starman, who wanted to come and meet us and blow all our minds and succeeded via a television set on warm summer’s evening in July ’72. The superstar Starman is of course David Bowie. By creating a sensational and inspiring on stage and off stage wardrobe that has never been equaled, Freddie Burretti helped David Bowie make a huge statement of future intent. No one had ever seen anything or anyone like David Bowie circa 1972/3. Freddie’s designs placed David Bowie and his Spiders From Mars at the very top of a very fruitful Rock tree. Try to imagine David Bowie’s critically acclaimed Top of the Pops Starman debut without Freddie’s incredible clothes, you can’t really, it’s impossible to do so. 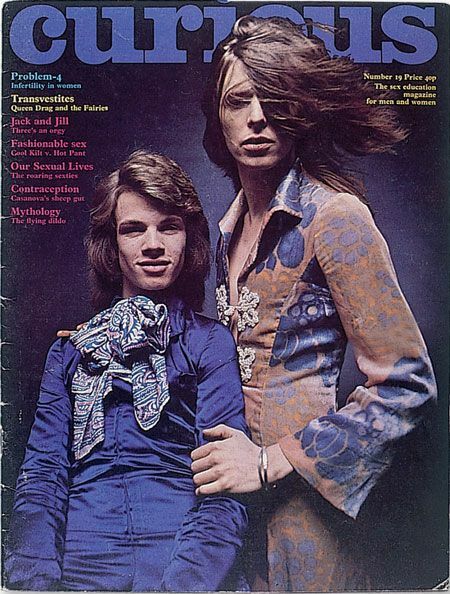 Freddie Burretti was a huge influence and inspiration to David Bowie and in turn David Bowie was a huge influence and inspiration to Freddie Burretti. Freddie’s journey before meeting David Bowie is every bit as fascinating as his exciting and emotional Rock n Roll expedition with him. The full story coming soon.